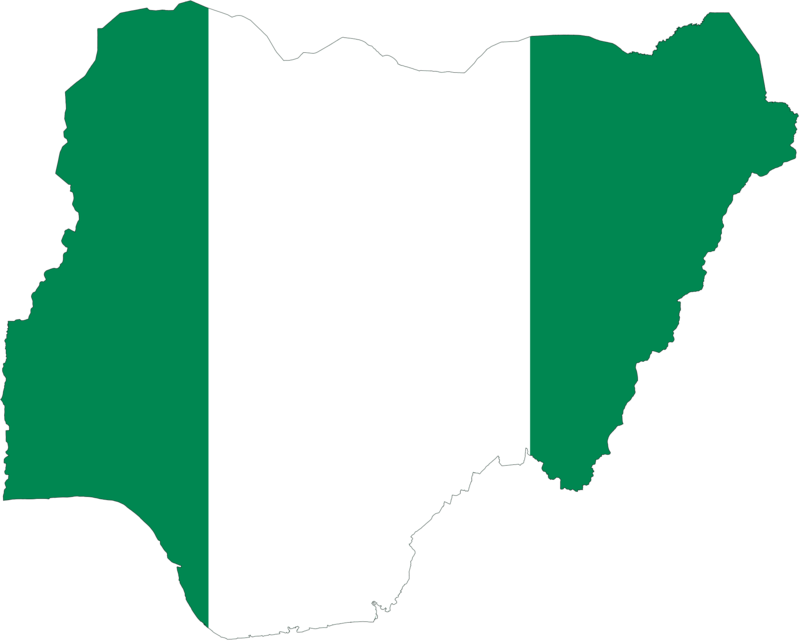 NIGERIA has two dominant religions; Christianity and Islam. In their respective doctrines, peace and unity are copiously emphasized. Ditto in the nation’s motto. Under the 1999 Constitution of the Federal Republic of Nigeria, Section 38 (1) provides “Every person shall be entitled to freedom of thought, conscience and religion, including freedom to change his religion or belief, and freedom (either alone or in community with others, and in public or in private) to manifest and propagate his religion or belief in worship, teaching, practice and observance”. By this provision, choice of religion is sacrosanct, and sealed as a fundamental right to all citizens. By implications, it is lawful for any citizen to freely adopt a religion or change it without any compulsion, and therefore unlawful to forcefully convert or impose any religion on anyone. It is on this premise that political parties notwithstanding its non provision in the Electoral Act often balance and nominate presidential candidates and running-mates considerately from the two major religions except in 1993 Social Democratic Party (SDP) presented a two-Muslims ticket; Bashorun MKO Abiola and Amb Babagana Kingibe as presidential candidate and running-mate respectively without squabbles. Possibly, Nigerians were elated with their gregariousness or objectively made service-delivery their priorities, and consequently, prudently aligned with Peter F. Drucker, an Austrian-born American renowned author; celebrated as the father of Modern Management Theory. Drucker affirmed that “Effective leadership is not about making speeches or being liked; leadership is defined by results, not attributes”. Unfortunately, the peoples’ high hopes metamorphosed into a nightmare. The June 12-presidential election massively participated with fervour was bizarrely annulled by military junta of General Ibrahim Babangida in concert with Chief Arthur Nzeribe’s Association for Better Nigeria (ABN). Abiola later mysteriously died in 1998 under incarceration by General Sani Abacha’s junta. Recently, President Muhammadu Buhari compensatively, conferred a posthumous honour of the Grand Commander of the Federal Republic (GCFR); Nigeria’s highest rank exclusively reserved for presidents, on late Bashorun Abiola. The nexus is that despite the duo’s same religion, majority of Nigerians including Christians overwhelmingly adopted the ticket and fearlessly voted for the duet. To the electorates, it was splendidly a contest between value and torpor, and nothing more. It therefore implies that religion has not critically shown up in the litany of problems facing the country but lack of visionary and committed leadership. Interestingly, President Buhari nominated Professor Yemi Osinbajo (SAN); a pastor in one of the leading churches with presences virtually in all local government areas in Nigeria and beyond, as his running mate in 2015 and yet again for 2019 reelection bid. Prof Osinbajo until his assumption of office as Vice President of Nigeria pastored a parish in The Redeemed Christian Church of God (RCCG) at Lagos. Then, during President Buhari’s medical vacation in London, the RCCG General Overseer, Pastor Enoch Adeboye was the only religious leader that had access to the president abroad which showed there is no religious cacophony amongst the elites or at the centre except the few extremists causing commotions in the society. For instance, the national leader of All Progressives Congress (APC), Asiwaju Bola Ahmed Tinubu, though a devout Muslim, yet his wife, Senator Oluremi Tinubu is an ordained assistant pastor in RCCG in Lagos. Similarly, the Minister of Power, Works and Housing, Babatunde Fashola (SAN) is a Muslim, while his wife and children are Christians, yet everyone retains dignity despite differing religious beliefs. Furthermore, the present Director-General of the Budget Office of the Federation, Ben Akabueze is a pastor in RCCG parish in Lagos. These records clearly attest to one indisputable fact; that people bringing ‘Islamization’ or ‘Christianization’ into politics; instilling fears and doubts in the polity are simply detractors and enemies of peace. It is immaterial where the missiles come from; be it from churches or mosques. The golden truth is; nobody can forcefully impose any religion on the nation, and nobody has manifestly mulled over it or even contemplating to do it but mere handiworks of mischief makers. Hence, the fears are uncalled for and should be despised, as the finger pointing is groundless, tenuous or politically-motivated. To buttress it further, it is on record that the same leader purportedly masterminding the sinister plots to foist his religion over the nation had earlier nominated and paired with Pastor Tunde Bakare as his running mate under the platform of Congress for Progressives Change (CPC) which didn’t materialize. Pastor Bakare is incontrovertibly a voice in the Christendom. It is equally evident that the Chaplaincy at the State House operates freely as usual without any form of interference or intimidation. Candidly, audiences should be wary of information they are fed with, be it in the name of prophesies or ‘visions’ as humans are unpredictable by nature. Despite all odds, the country has gone a long way and shouldn’t be taken aback with gauche religious crisis. Leadership must essentially be measured by policies and issues, and not by deceits or hostilities. To sum, it doesn’t only amount to acts capable of causing breaches of the public peace but tantamount to hate speech, to subtly, inanely mislead a population with grievous allegations by mere assumptions. Thus, anybody promoting such vices should be made to face the full wrath of the law irrespective of titles. Issues that affect religion should be left for the religious bodies without mixing them with election of national leaders. The masses crucial interest in government is wellbeing. No doubt, politics globally accommodates gimmicks but objectivity alongside decorum is principal. For example, US President Donald Trump’s body language during his then election campaign displayed gimmickry; whitewash promises to Nigerians to the extent that on the date of his inauguration, a hardnosed protests in solidarity which sadly led to loss of scores of lives absurdly took place all the way in Port Harcourt, Nigeria. Hence, politesse is fundamental in politicking particularly prioritizing the interest of the nation. Umegboro is a public affairs analyst and Associate, Chartered Institute of Arbitrators (United-Kingdom). 08173184542-SMS-only.